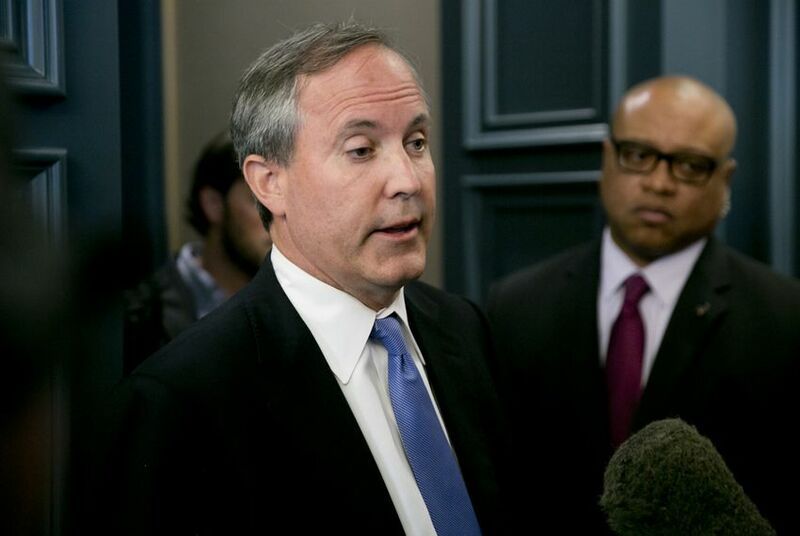 Attorney General Ken Paxton on Wednesday filed a lawsuit over the Environmental Protection Agency's rejection of parts of a Texas clean air program, launching the state’s second battle against EPA regulations in less than two weeks. Once again, Texas is suing the federal Environmental Projection Agency­. Historically, regulators exempt pollution from those events from overall limits, letting plants emit more than their federal permits allow. But environmental groups have protested this policy, claiming it has let plants discharge millions of extra pounds of dangerous air pollutants each year. A federal appeals court in April 2014 found some of the environmental groups' points valid, prompting the EPA in May to require Texas and 35 other states to revisit how they deal with such events. The lawsuit comes nine days after Paxton joined Louisiana and Mississippi in a battle against the agency’s “Waters of the U.S.” rule, finalized last month. The EPA says those regulations aim to better define the scope of bodies of water protected under the Clean Water Act. Yet another lawsuit could be coming soon. Paxton has already said he plans to fight EPA’s “Clean Power Plan,” a sweeping plan to combat climate change by slashing carbon emissions from power plants. The agency plans to finalize those rules next month.